CBD Oil Review rates the Nectar Leaf Brand with two stars because it qualifies for the Quality & Mission Badges. Nectar Leaf’s bread and butter is essential oils. They offer just one CBD product: full spectrum cannabidiol tinctures. The company insists they are on the up and up when it comes to responsible sourcing and testing for contaminants like heavy metals. However, there is zero evidence to back their claims. With only one CBD oil offering that happens to be their bestseller, it shouldn’t be unmanageable to provide this information — if their product is indeed as potent and pure as they say it is. 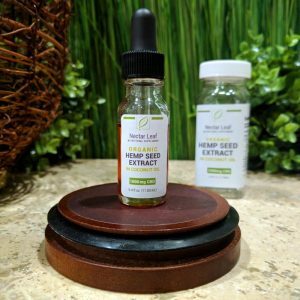 Nectar Leaf hails from sunny San Diego and offers a line of all-natural products, including CBD oil and premium essential oil and essential oil blends. 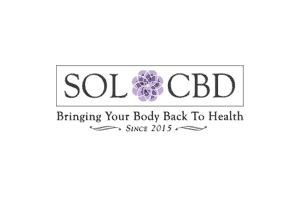 They have a prolific CBD Resource Center complete with studies and the latest news for customers looking for unbiased information on cannabidiol. They also briefly state risks associated with acetaminophen, pointing to CBD oil for pain relief that is all-natural and free of risks or side effects. Nectar Leaf guarantees that each of their CBD oils contains exactly the amount of cannabidiol as listed on the label. They claim to test at multiple stages and that they will never sell any products that test positive for residual solvents, heavy metals, or other toxins. Problem is, we have no way of verifying this, since they do not post these test results online. No Safety Badge for Nectar Leaf. The company states they source their CBD oil from organically grown hemp in Europe and utilize CO2 extraction. Nectar Leaf says the particular strain they use is third-party verified to be exceptionally rich in CBD (again, without test results, no way to substantiate the claim). 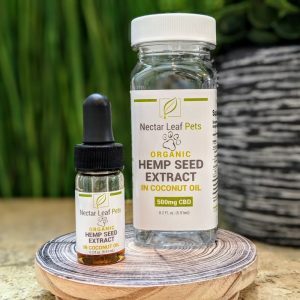 In addition to their essential oils, Nectar Leaf offers just one CBD product, and it’s their bestseller. The cannabidiol tinctures are suspended in coconut oil and come in 500 mg at $35 and 1000 mg at $60. The product is supposedly 10% CBD by weight, and there are no online reviews yet to speak to user experience. 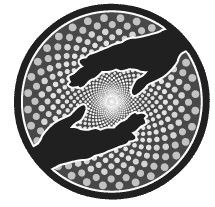 Bottom Line – Considering that CBD oil is their both their best selling product and their only product containing cannabidiol, it would do a world of good for Nectar Leaf to provide detailed CoAs to prove potency and safety. If other quality vendors can do this with dozens of SKUs, it shouldn’t be too difficult to get it done with one… provided the product actually lives up to company claims. Nectar Leaf sources hemp organically grown in Europe that is then CO2 extracted. 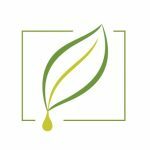 Nectar Leaf is committed to advancing the understanding of natural health benefits by providing affordable, high-quality CBD and other products.